This is another one of those magical dive sites that are so prevalent in Sydney. However, most persons who dive this spot only see the tip of its potential as they do not dive the best areas. This is a great gift certificate for any occassion – the perfect gift for any diver! 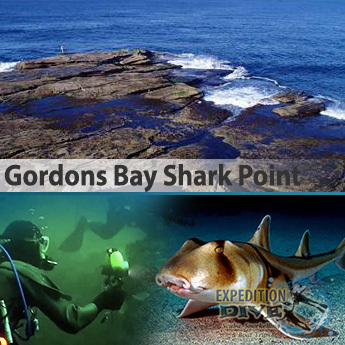 Shark Point is located on the north side of Clovelly Bay in Sydney’s Eastern Suburbs. Only eight kilometres from the city, Clovelly is home to three very well known dive locations, Gordons Bay (better known as Thompsons Bay), Clovelly Pool and Shark Point. 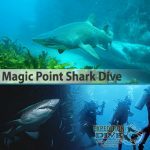 By far the best of these sites is Shark Point, although the dive location is such that it should never be dived by inexperienced divers without an experienced person accompanying them. The actual Shark Point dive site is accessible from either side of Clovelly Bay, although the best entry point for the most enjoyable dive is from the northern side. Park your vehicle at the bottom end of Ocean Street or at the start of Eastbourne Avenue, Clovelly, near the bus terminus and turning point. Before gearing up, walk to the rough pathway that leads down to the rock platform. Look out towards the point itself and as certain if the seas are suitable. This is the normal entry and exit point. There is another entry point and this is even better. From where you have parked your car, walk across the grass to the east. Here you will find a fissure that runs from the top right down into the water. The entry point is on the south side of the fissure.